(L-R): Angela Bassett attends The Broad Museum celebration for the opening of Soul Of A Nation: Art in the Age of Black Power 1963-1983 Art Exhibition on March 22, 2019 in Los Angeles, California. DeWanda Wise attends CBS All Access new series ‘The Twilight Zone’ premiere on March 26, 2019 in Hollywood, California. Of course, we need a team of jurors to make that decision, and now the cat’s out of the bag— we have a list of jury members who’ll be responsible for selecting the winners of the winners within the film and immersive competition sections. 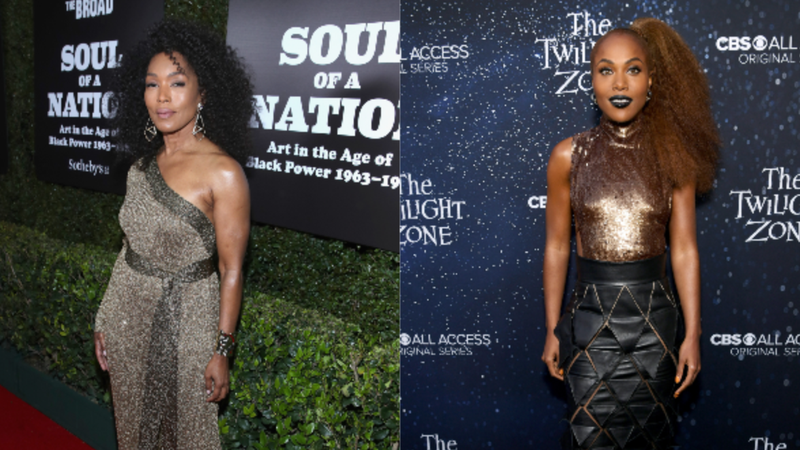 Since we’re about that blackity black life at The Root, we have to give a special shout-out to 2019 jury members: Angela Bassett (Black Panther, 9-1-1), DeWanda Wise (She’s Gotta Have It, The Twilight Zone), Cory Hardrict (The Oath, The Outpost), Gbenga Akinnagbe (The Wire, To Kill A Mockingbird on Broadway), Phoebe Robinson (2 Dope Queens), Agunda Okeyo (Sisters of Comedy), and Director of Corporate Innovation at New York City’s RLab, Adaora Udoji. “At 18 we’re proud of our lineup of talented and diverse filmmakers and welcome our extraordinary jury,” Jane Rosenthal, co-founder and CEO of the Tribeca Film Festiva, said via press release.